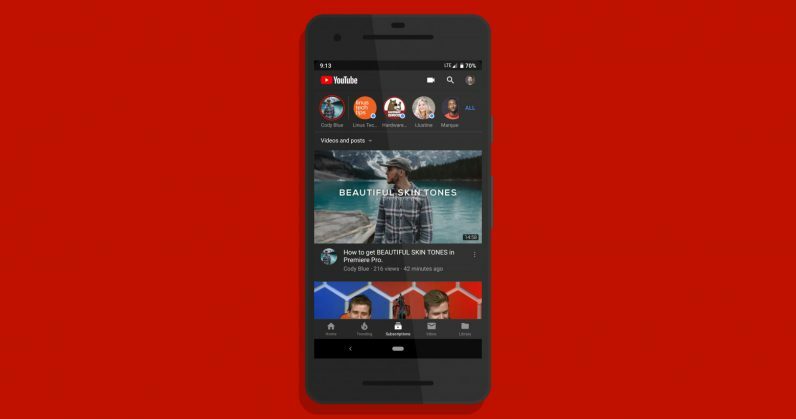 Although YouTube has offered a dark theme on its web and iOS apps for months, it’s been taking its own sweet time bringing it to Android for some reason (seriously, what’s the hold-up?). Now, there’s hope. Redditor u/Absinth92 reported on the weekend that the option had become available on his mobile device – and Android Police reports that others have spotted the feature too. You can look for Dark Mode in Settings > General. But it’s possible that you might have to wait a bit, as Google hasn’t announced the rollout, and only seems to have made it available to a limited number of users at present. Here’s hoping it’ll soon make its way across the globe. If you can’t wait for YouTube to flip the switch, you can try this method detailed over on XDA Developers Forum to enable the feature – but you’ll need root access to get it to work.